Let’s Talk About the Importance of Exercise for Children! A lot of people are currently trying to get more into exercising regularly. It’s not always easy to make physical activity fit into your busy schedule. And it’s certainly understandable. Still, you try because you know that exercising is good for you. Working out and being physically active can have such a great impact on adults. But, did you know that it’s also very important for kids to be active? That’s right! Exercise for children is definitely a necessity! As children grow, their need to be physically active becomes more and more important. Believe it or not, exercise can help your kids in more ways than one. We’ll discuss the benefits and importance of exercise for children and how you can help your kids to become more active! Exercise for kids is just as important as anything else that contributes to their health. Like good nutrition helps improve your child’s physical health, exercise also helps in this area. When children are physically active, it can improve and normalize their energy levels. It can also help to improve their motor skills. Motor skills give children the ability to properly do things like moving their arms, legs, fingers, and so forth. Regularly using one’s muscles and joints can help to improve those motor skills. Also, regular physical exercise can improve the health of the heart, strength in the bones, and flexibility of the muscles! But physical health isn’t the only benefit of exercise for children. Kids can benefit in other ways, too. When children exercise, they can improve cognitively and academically. It can help them gain a sense of focus and concentration. And, it can assist kids in gaining more endurance and willpower. Regular exercise and activity can help kids to relieve stress and anxiety. It can help normally shy children become more involved in playing with others. Physical activity can also help to improve kids’ ability to sleep well because it allows them to tire naturally and gives their bodies a sense of routine and regularity. Finally, one of the great benefits of exercise for children is the fact that it helps give kids an excitement for being mobile and spending time doing something fun and engaging! Exercise with the kiddos. 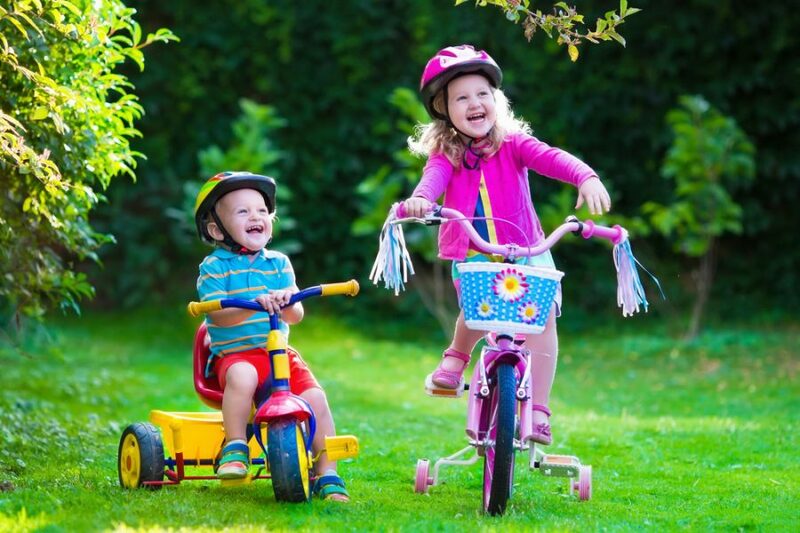 Go for a family jog or bike ride! Encourage the children to play outdoors instead of inside. Set a limit on time with electronics. Introduce exciting physically engaging activities instead! Make sure their learning facility engages them in physical activities! At Ivy Prep Early Learning Academy, we are excited about your kids’ health! We are committed to making sure they get the opportunity to develop in every area of their lives. This includes their cognitive, emotional, social, and physical development! Our goal is to provide your little ones with an environment where they can feel safe and free to be themselves. We work to make sure that each child gets the care and nourishment they need as they grow and develop! If you’re interested in our programs or would like to visit one of our facilities, just contact us today at (866) 216-6750!